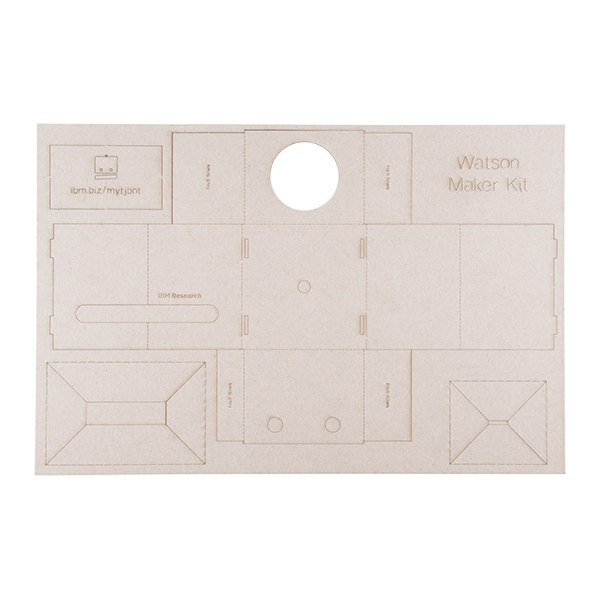 Have some fun coding your very own AI robot with TJBot, a do-it-yourself template to learn, experiment with and explore AI with IBM Watson. The project consists of open source step-by-step recipes, or coding instructions, designed for a Raspberry Pi to help you connect your TJBot to Watson developer services. Born at IBM Research as an experiment to develop best practices in the design and implementation of AI and cognitive objects, TJBot is an example of "embodied cognition" --- the idea of embedding artificial intelligence into objects in our everyday lives. Want to have a conversation with TJBot or teach TJBot to dance or tell a joke? You can use featured TJBot recipes to teach your own TJBot these skills or create your own new recipes and share them with the world. 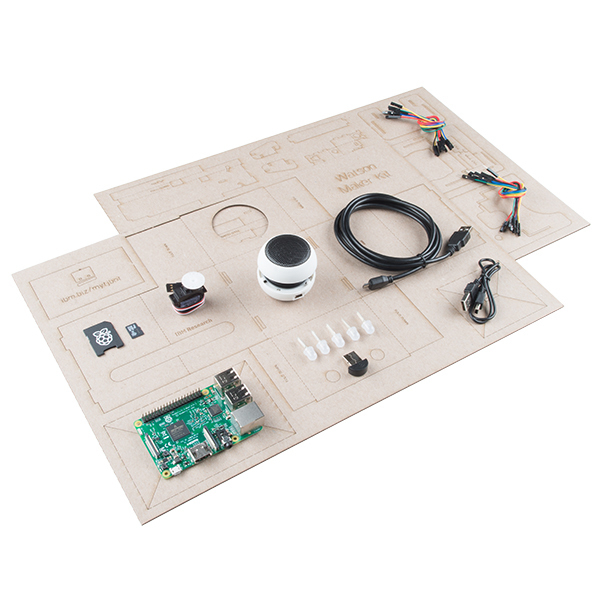 In this version of the TJBot kit, we include a laser-cut template to form the body of the Bot, LEDs, a microphone, the Raspberry Pi, SD card and wires to connect everything together. Also, this kit is only available for those in the United States and Canada. Sorry, world! Note: A credit card may be required to access the TJBot's full function. This post will walk you through setting up your TJBot and getting started with the first three recipe examples provided by IBM. What do you need a credit card for? In-bot purchases?
" 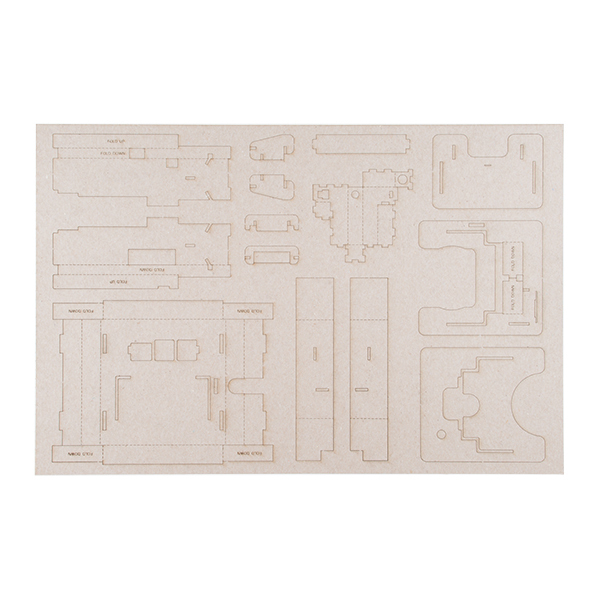 we include a laser-cut template to form the body of the Bot, LEDs, a microphone, the Raspberry Pi, SD Card, and wires to connect everything together"
So which of these components does the USA government deem as too secret to export. The Leds? the Pi? (a british device), the SD card? The wire? Oh I know the microphone. 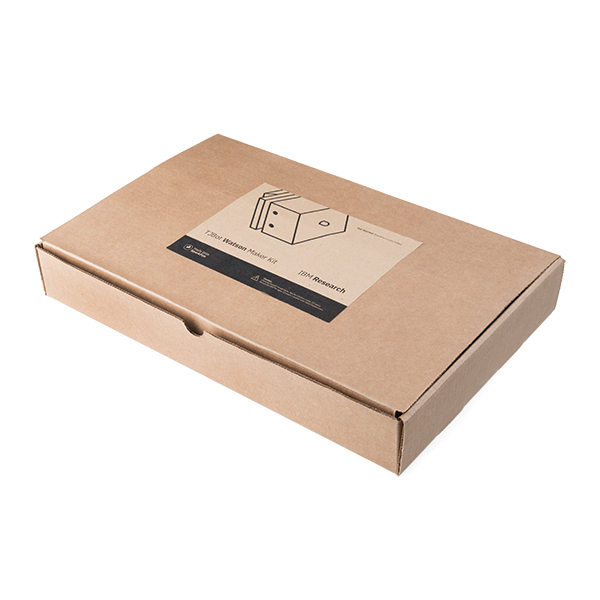 Or is it just that its not suitable (size/shape) for sparkfun to ship? Honestly, IBM has a few shipping restrictions on the kit as a whole that we are respecting. Nothing more, nothing less. Pretty neat! I think this is the link with the design files. 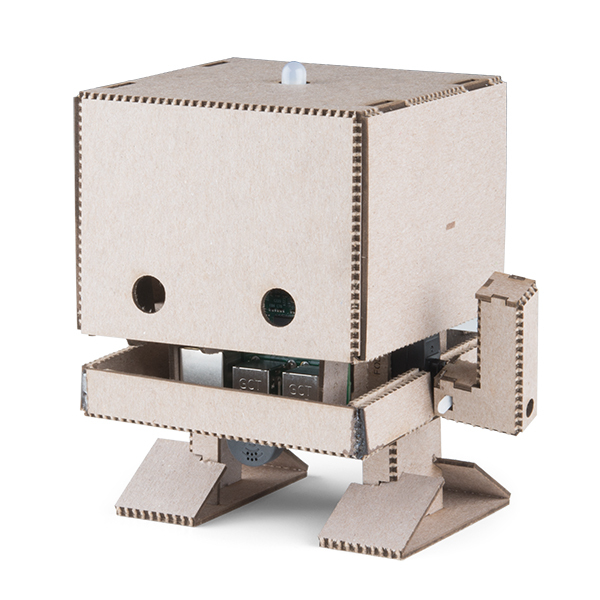 TJBot - Just a box of cardboard until you get an IBM Cloud account? Upon receipt of a $125 box of cardboard parts, I used the "getting started" link off of the Sparkfun site. The first step was to obtain a token/auth code from IBM's Watson cloud. Following the "getting started" steps, I got to a point where it said I would receive an email from the IBM TJBot group with the necessary links. THE EMAIL NEVER CAME. I opened an issue with the IBM TJBot site. Its been more and two weeks and have yet to receive a response from IBM. A couple of days after trying to get the credentals from IBM I opened an issue with Sparkfun Support. Thier response was that Sparkfun was only a supplier and any technical issues had to be resolved by IBM --- so me and my $125 box of cardboard is just collecting dust. The laser cut cardboard "folds" break apart when folded. I ended up 3D printing the parts. Recommend just buying a raspberry pi and components separately. This was a wonderful gift as a Thank You! Everyone was excited to receive one, and some others even were envious!